SPW056740 SCOTLAND (1938). 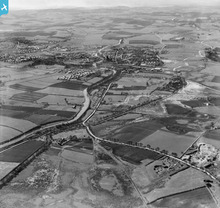 Kirkintilloch, general view, showing Forth and Clyde Canal and Kilsyth Road. An oblique aerial photograph taken facing south-west. 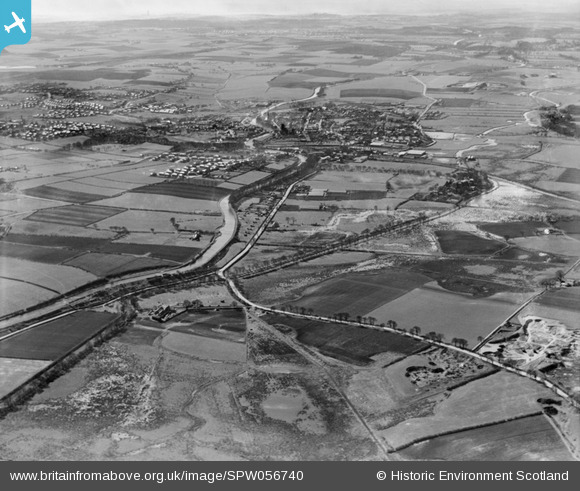 Title [SPW056740] Kirkintilloch, general view, showing Forth and Clyde Canal and Kilsyth Road. An oblique aerial photograph taken facing south-west. Now called 'The Stables' a restaurant/bar but was the stable for the horses that pulled the barges along the Forth And Clyde Canal.